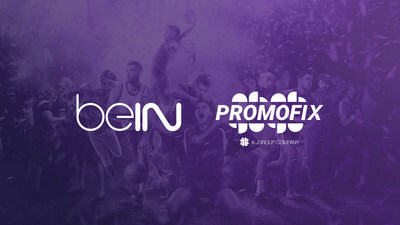 BEIRUT, April 16, 2019 /PRNewswire/ -- Promofix has announced a partnership with BeIN Sports, becoming its sole advertising sales representative in the MENA region. The new strategic partnerships if hoped to put Promofix, a subsidiary and digital arm of Lebanese JGroup, a holding group headed by entrepreneur and philanthropist Imad Jomaa, on the map as a global player in the sports ad industry. Since the signing of the agreement, Promofix will be the executive advertising sales agent for BeIN Sports, in all 24 MENA countries, both online and offline. Behind the partnership lie plans of further collaboration between the two parties, which have plans on combining their global experience and networks on several fronts. BeIN Sports, the region's, and one of the world's, biggest sports broadcaster. The network owns exclusive rights to some of the plant's biggest sporting events, including the UEFA Champions League, FIFA World Cup and La Liga. As for Promofix, this is a great addition to their very diverse and impressive portfolio. The media group has represented several key players in the region, including Lebanese popular Al Jadeed TV, Shazam, Snapchat, Sizmek, Bucksense, Sharkiya and Summaria. This new addition can bolster their dominance in the ad sales market both regionally and internationally.